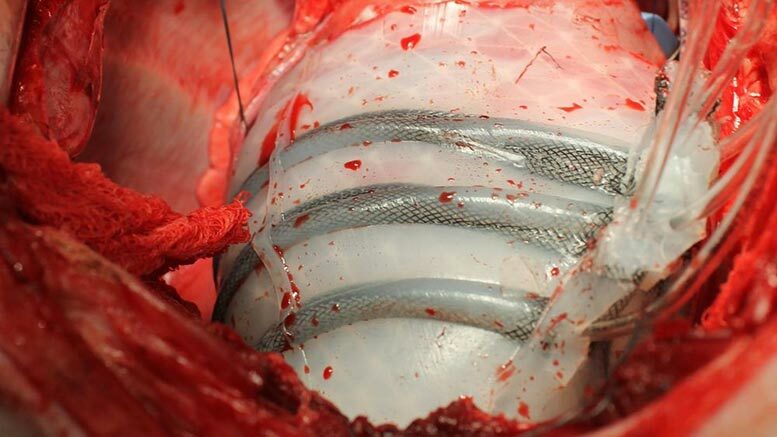 A team of researchers from Harvard University and Boston Children’s Hospital has developed a customizable soft robot that fits around the heart and helps it beat, potentially opening new treatment options for people suffering from heart failure. 3 Comments on "Engineers Develop Soft Robotic Sleeve to Help the Heart Beat"
Why can’t I post to Facebook? You should be able to? We will be posting it to our FB page later tonight. Can this be used in dogs?